Last week, we highlighted the importance of influencer marketing in the world of social advertising today. We also talked about how there needs to be increased regulation of influencers in order to drive them to run more ethical campaigns for brands online. This week, we want to focus on why it’s important to think about the reputation of an influencer before selecting them to work on a brand campaign. Are they authentic? Do they fit your brand? Do they follow the same ethical code as your company? These are all questions that every business should be asking prior to choosing an online personality to market their products and services. But how many marketers are actively checking these things before signing a contract? Influencer marketing, when executed properly, can work wonders for brand marketing efforts. 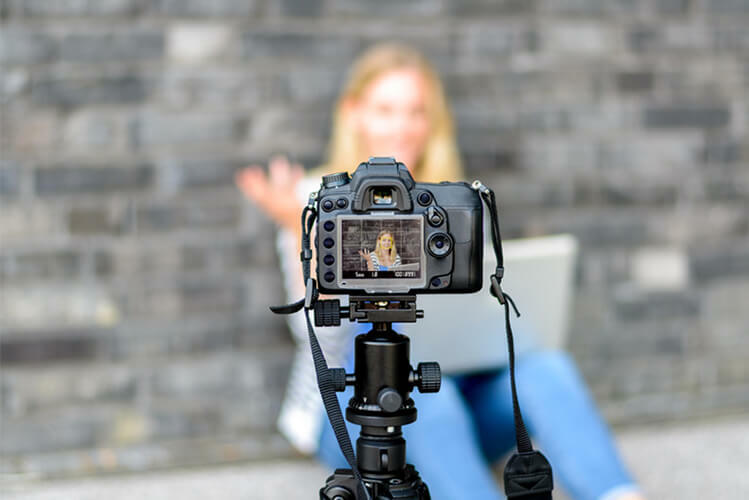 Running a successful influencer campaign depends largely on authenticity and without it, content that should build high user engagement won’t feel genuine and therefore won’t resonate with a brand’s desired audience. A survey carried out by Forbes has shown that 43% of millennials rank authenticity over content when consuming news. Young people today will prioritise trusting a company before looking at any content it produces and the same applies to influencers they may be following. If trust isn’t established from the onset, millennials may not even interact with influencer content at all - regardless of the number of followers an individual may have. Data collected by Bloglovin’ has found that 61% of women said they won’t engage with an influencer’s sponsored content if it doesn’t feel genuine. This is where type of influencer comes into play. People want genuine reviews and opinions for products and services over paid endorsement deals which is why consumers choose to follow non-celebrity influencers over celebrities. While it’s true that an influencer can get a substantial amount of attention, if it’s not authentic, it won’t help your brand at all. Genuine interaction is the crucial selling point that will help build trust between a brand and an audience and this is something you should always research before starting a potential influencer partnership. We already know that social influencer marketing provides brands with a brilliant opportunity to reach out to a new, larger and more engaged audience. Ultimately however, this won’t work unless it’s the right audience for your brand. When searching for influencers to partner with, many brands make the mistake of looking at their follower count alone. While vanity metrics look great on paper, in reality they tell us nothing about substance. The number of followers an online personality has doesn’t accurately portray the level of engagement they may garner on posts – in short, a big reach doesn’t necessarily mean great influence. Some people boast huge followings online, but if their audience is uninterested in the content they’re putting out, they won’t help you create conversions. It’s more valuable to showcase your brand to a smaller following of 20k likely buyers than it is to show it to 200k uninterested followers. A study carried out by Technorati has found that 54% of consumers believe the smaller the community, the bigger the influence. Take celebrity influencers as a prime example, their follower counts are highly attractive to marketers looking to get products and services in front of a larger audience, but how engaged are they with their audiences? A survey conducted by Collective Bias has revealed that only 3% of consumers are influenced by celebrity endorsements in their product purchase decisions, with 30% of consumers being more likely to buy a product recommended by a non-celebrity blogger. The main reason for this being that consumers value the opinions of non-celebrity influencers more than that of celebrities as they find it easier to relate to them as people. In order to create conversions, brands need to first find influencers who have the ability to do so. Take the time to look at their previous endorsements and partnerships, were they able to drive people to take action? Also focus on what type of engagement they usually get - look at likes, shares, replies and comments to find how active their following really is. Remember, you can’t sell to somebody who doesn’t care! This is a big one that brands continuously fail to consider when signing influencers to work with them. When running a campaign, an influencer becomes one of the faces for your company, so if you choose a person whose ethics are not in line with your own, you’re essentially risking a negative reputation for your brand. We’re only two months into 2018 and YouTube star, Logan Paul, has the influencer marketing world on edge with the video he posted – now deleted – in which many feel he sensationalised suicide in exchange for views. With over 15 million subscribers, Logan Paul is – or was- one of the most in-demand influencers of today, with big brands such as Nike, Pepsi, Dunkin’ Donuts and Verizon partnering with him for marketing campaigns. This scandal has already impacted how marketers select influencers for brand campaigns, with many brands pulling out of contracts with Paul as a result of the negativity and backlash he received for his video. Brand safety has now become a top priority for marketers looking to invest in bloggers and online personalities, with more and more people questioning whether this is even a possibility in the realm of influencer marketing. This recent event proves that it’s not always possible to predict or control what content influencers put out on their channels and so research is key to finding the right influencer to fit your brand. Go through their previous social content and flag up anything that rings alarm bells, check their online behaviour and ask their agent for a written testament stating they’re free of controversy in order to avoid any potential PR disasters! As with all methods of marketing, there are risks involved when it comes to working with influencers, but this article shows that there are also actions marketers can take to help prevent negative campaign results. If you'd like to learn more about how we can deliver fantastic results from the right influencers, get in touch with us today!